Sometimes, all that’s needed to break up the monotony is a change of scenery and a few days away from the daily grind. Fortunately, we’re right next door to Cornwall, (had you noticed that too? 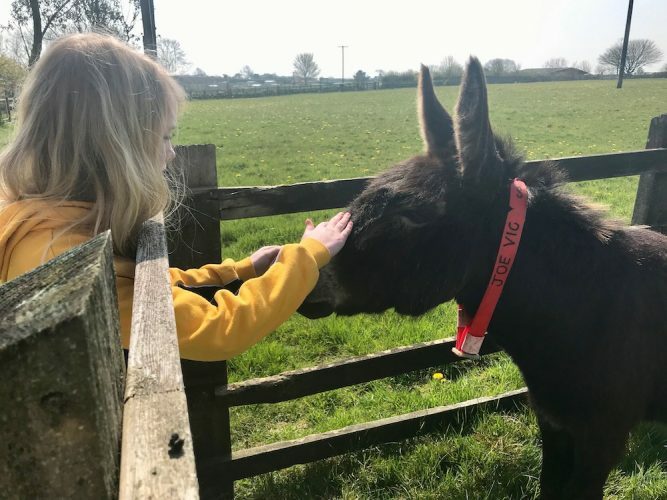 ), and it turns out you really don’t have to go far to escape either with the kids, with girlfriends or with your beloved, as jammy Muddy Cornwall editor Sophie discovered recently. She’s been for an uber-relaxing break at the St Moritz Hotel. Not. At. All. Jealous. Nope. Have a read and a drool. 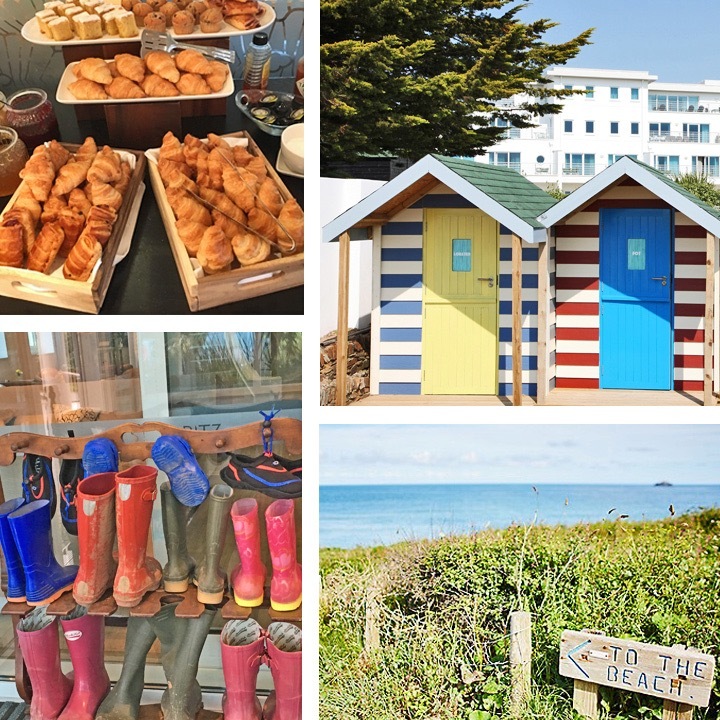 Postcard-perfect in summer and romantic and rugged in winter, the St Moritz Hotel is set back from the clifftops in Trebetherick, ten minutes walk away from Daymer Bay. 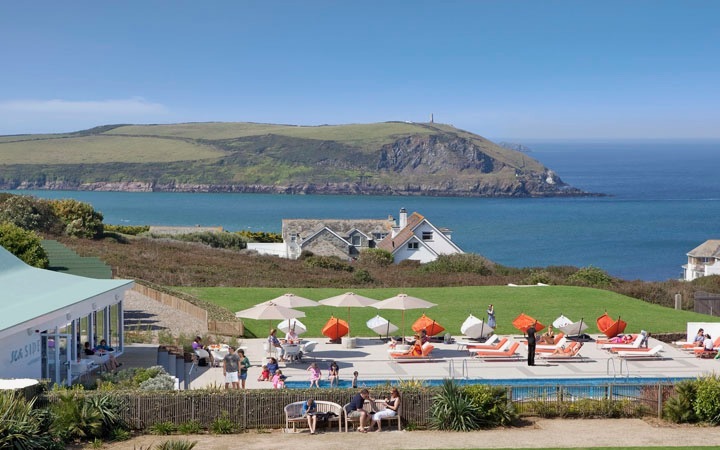 From the front rooms and the outdoor pool and deck (complete with giant hammocks), you can enjoy stunning, panoramic views over the Camel Estuary and the Atlantic Ocean, while you chill. The popular surfing beach of Polzeath is a twenty minute walk or short drive away and you’re also just a hop on the ferry from Padstow, where there are foodie treats aplenty, from fine dining to fish and chips. In fact three of Cornwall’s most celebrated restaurants are within easy reach; Rick Stein’s Seafood Restaurant, Paul Ainsworth at No.6 (both in Padstow) and Nathan Outlaw’s Fish Kitchen in nearby Port Isaac. There’s something charmed about this whole area of Cornwall, where well-to-do families have been holidaying for generations and the pace of life is slowed to an incredibly civilised speed. If you prefer not to drive, the hotel land rover is available for shuttle runs to the beach, town or ferry. One of Cornwall’s best-known hotels, the St Moritz has provided an elegant and exclusive bolthole, to everyone from politicians to film stars since the ‘40s. 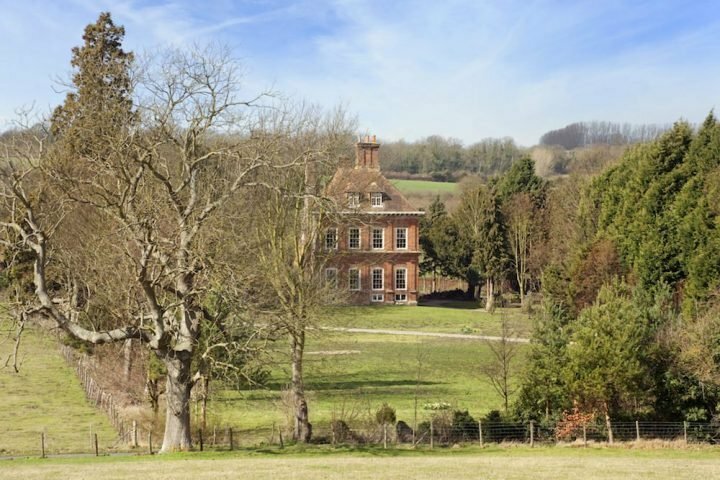 The original building was commissioned in the ‘30s as a house, by young couple, Mr and Mrs Richard Underwood. During World War II it was a boarding school, housing evacuees but following the war, the Underwood’s decided to turn it into a luxury hotel, inspired by the refined establishments they’d seen in St Moritz, Switzerland. 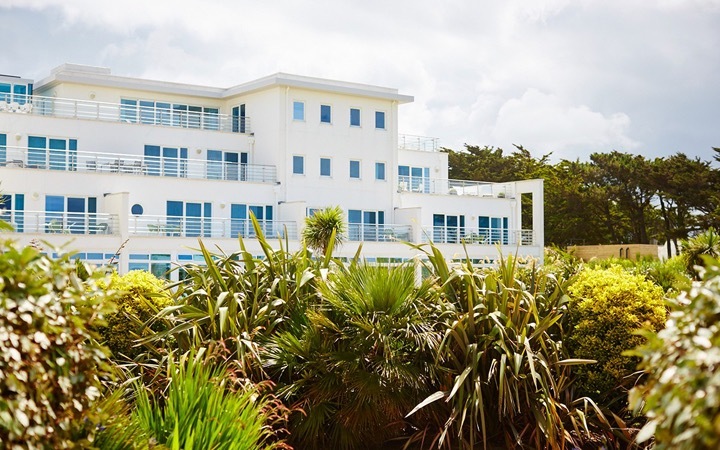 It underwent a massive, £15m rebuild and redesign in 2008, under the new ownership of brothers Hugh and Steve Ridgway, leading to the striking Art-Deco-inspired architecture and contemporary, luxe interiors we couldn’t stop snapping last weekend. There’s a wide choice of options here, from hotel rooms of varying sizes to self-catering apartments and villas. All are light, modern, comfortable and very quiet. And they’ve got all the details right, from the GHDs and lush Cowshed products in the bathroom to the milk for your morning tea – that’s not in annoying little plastic tubs but in a sensible carton in the fridge. Our room even came with its own beach hut by the outdoor pool, which is a fun spot to sit and read your book in summer or just pose for some holiday selfies. There’s a choice of two eateries at the St Moritz. The fancier, a la carte restaurant, open to guests and non-resisidents, is in the main hotel building and with the bar takes up half the second floor. 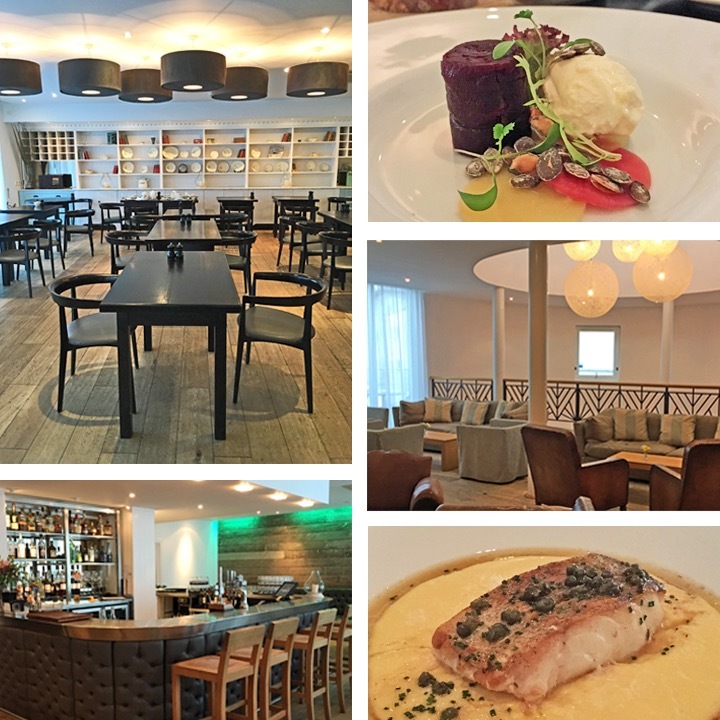 It’s worth mentioning that the bar, restaurant, reception and leisure facilities are in a separate building to all the rooms, which is really nice because it keeps the rooms quiet and also gives a more intimate feel to the restaurant and lounge areas. The kitchen is headed up by chef David Williams, who worked at an impressive roster of Michelin-starred restaurants, before landing at the St Moritz and it’s definitely a fine dining experience. His beautifully presented dishes make the very best of local produce – from Porthilly oysters to Cornish mackerel and West Country beef. It was the toughest decision of the weekend but our waiter was so helpful and knowledgeable I’m considering running all my big decisions by him in future. Breakfast is also served here and the chefs and long buffet spread cater for almost any breakfast combination you can think of. For a more casual meal — think burgers, steaks and Cornish crab — there’s the Seaside Bar and Restaurant, which overlooks the pool and the ocean beyond. This is the only Cowshed Spa in the West Country and like the original at Babington House, you just know it’s going to be good. 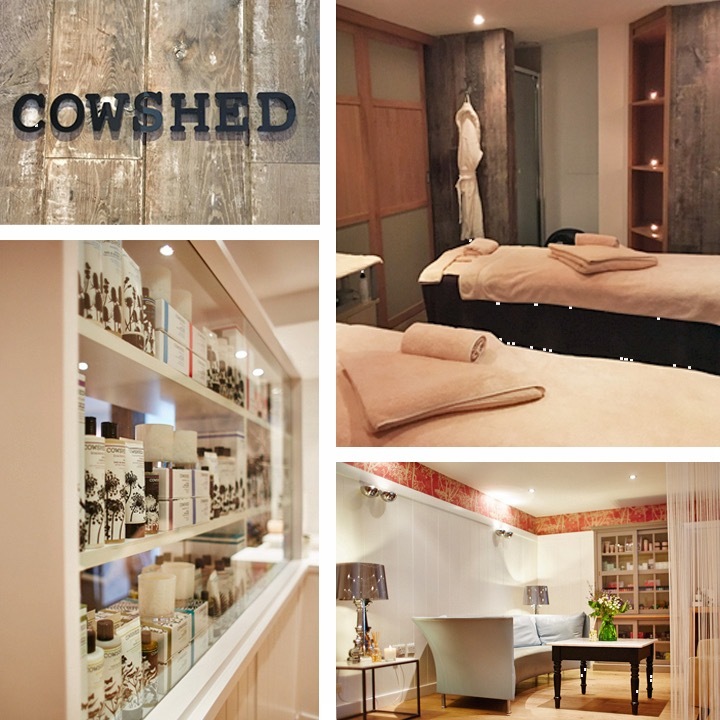 I was completely blissed out by the Cowshed Moody Massage – a full body massage tailored to your needs (my bloggers hunch melted away) and it’s one of the best treatments I’ve had since moving to Cornwall. You’re given a choice of six oils based on your mood and frankly I left feeling so relaxed that it was ages before I could string a sentence, let alone get in the car and drive home. The spa is a massive bonus for hotel guests but also a great option for locals too. You can book a treatment or spa package, which comes with the use of the pool, jacuzzi, steam room and sauna, so you can make a day of it. I almost felt like I was cheating on my kids going to the St Moritz without them because there is so much for little folk to enjoy here. Besides the natural playground and bucket-and-spade adventures, there’s a playroom and inside and outside pools and during school holidays, there are kids clubs and activities galore, so knackered parents can put their feet up. I often feel going away with kids is just like picking up your life and putting it down somewhere else but I can see how you’d really get a break as a parent staying here. And the nearest beach, Daymer Bay is one of our favourites to hit with the kids. It’s big enough to let them have a good run around but not so big that you’ll easily lose sight of them and when the tide’s out, there’s loads of rock pool exploring to be done. Good for: Family holidays, couples needing a night away, food lovers, girly spa weekends. Not for: Hard to think who wouldn’t like it here but if you’re drawn to cosier more rustic surroundings, this is probably not the hotel for you. £: In peak season, the best rooms in the St Moritz are definitely on the pricey side but look out for offers. 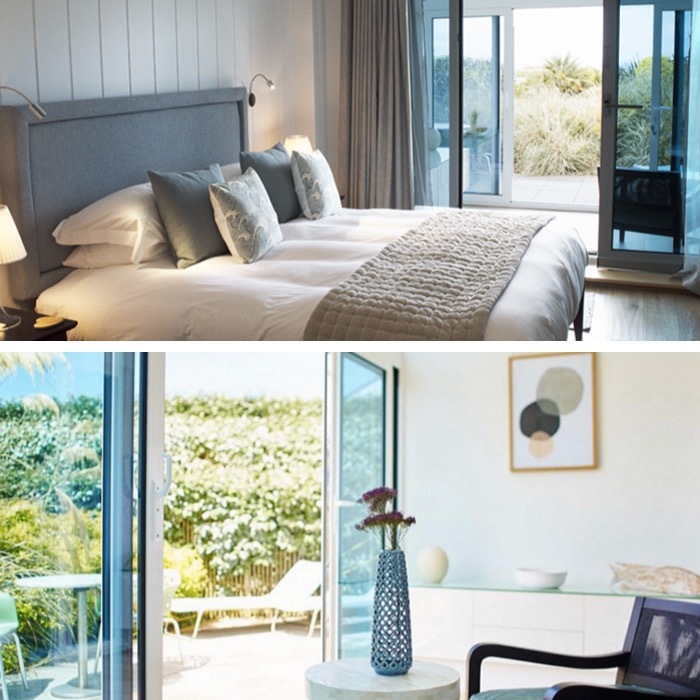 A spa weekend out of season is great value (2 nights with breakfast, one 3-course meal and a treatment voucher for the Cowshed Spa, from £148pp) and this half term, the hotel is running an offer, where kids stay free (£160 per room per night for B&B).